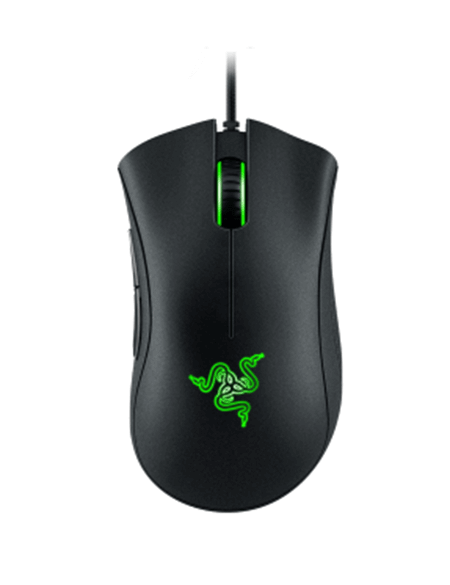 The Razer DeathAdder Chroma gaming mouse is winning rave reviews from many pro gamers. This gaming mouse has a 10,000 DPI optical sensor, which enables accurate tracking with zero interpolation. It is the highest native DPI optical sensor available on any gaming mouse today, being a fan of budget gaming mouse myself, I quickly found a place for DeathAdder in my heart. The native DPI ensures mouse movements of up to 200 inches per second and 50g acceleration. This Razer DeathAdder Chroma scores well when it comes to its ergonomic design. I could not help notice how well it fit my palms, I found myself falling love with its contours. Many users have praised its iconic right-handed intuitive ergonomic design. Its rubber side grips gave me excellent control over the device; it sits snugly under your palm. Its matte black finish prevents sweat build up, even after eight dota games, ensuring excellent grip. You can also control it with a claw grip. I felt very comfortable using this mouse. 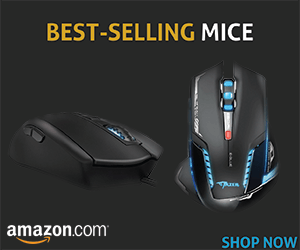 The mouse has bright green lighting on its scroll wheel and logo. Gaming is a pleasure with this mouse. It suits both low sense gamers and high sense twitch players. Low sense gamers lift the mouse constantly. High sense twitch players make sudden, sharp movements. The grips ensure that the mouse remains firmly in your hand. The mouse’s buttons are hair-trigger sensitive, which was super convenient for my CS:GO matches. Highly durable micro switches provide tactile feedback to your fingertips with each actuation. This definitely gives you an edge over your competitors. You can change your gaming mouse’s sensitivity temporarily by just holding down a button on your Razer keyboard, any amateur serious gamer could see the potential of this mouse, I quite frankly enjoyed this feature in my Hostage Scenario matches from CS:GO, where I could easily make the mouse adapt to my gaming style when using different weapons, I could change keyboard profiles using the mouse scroll wheel, though the click wheel of the hardware seemed a bit too clunky for my comfortability. The Razer DeathAdder Chroma is definitely among top class gaming mice. Many pro gamers use this device, before moving on to mice with higher dpi range and more technical functions. You Can call it a cheap gaming mouse for a newbie, but serves its purpose even for the semi-pro and the pros of their game. The sensor is capable of tracking Z-axis to as low as 1mm on most surfaces. This is ideal for you if you are a low-sensitivity gamer. You can set tracking to cut off as soon as you lift your mouse, ensuring consistent in-game control all the time. You can calibrate this cool gaming mouse to a specific surface. The sensor records that particular surface topography, color, and other properties. You can change your gaming mouse’s sensitivity temporarily by just holding down a button on your Razer keyboard, or change keyboard profiles using the mouse scroll wheel. One of this mouse’s users complained about the performance of its scroll wheel. The Razer DeathAdder Chroma is definitely among top class gaming mice. Many pro gamers use this device. You can call it a cheap gaming mouse for all the amazing features that it offers. The Razer is highly responsive and precise.